Fedora hats are the ultimate way to stay stylish and keep warm during the winter months. They are versatile and look great; not only on a long walk in the country but also for winter race meetings and wedding alike. They can also make a great Christmas gift. At Hostie Hats we have a great range of fedoras to choose from; and the best bit is, you can choose a style and colour to perfectly match your outfit. All of our fedora hats are available in up to eight different base colours which range from classic chocolate or navy to bright teal or rich red wine. Depending on the style chosen your hat band can also be customised to perfectly match your winter outfit. We have some gorgeous new additions to our fedora hat range for Autumn/Winter 2018, all of which are fully customisable as well as some great timeless fedoras which you will wear year in year out! Here’s a few of our favourites. 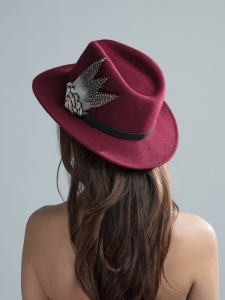 The Dickens Fedora hat is the perfect fedora for a winter wedding or a winter race day. 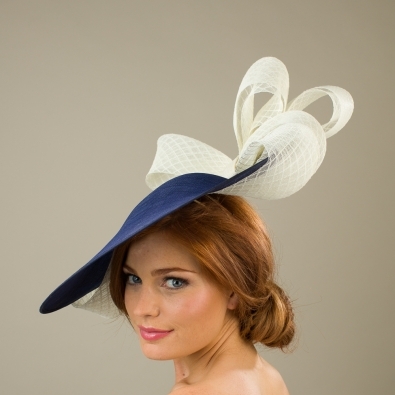 The felt base is beautifully offset by a leather hat band adorned with a luxurious bow made from diamond patterned sinamay which is available in any colour from our colour chart. Also new for 2018 is the Orwell fedora which features a felt fedora base trimmed with a leather hat band and a beautiful brooch in fanned white, cream and brown pheasant and guinea fowl feathers. 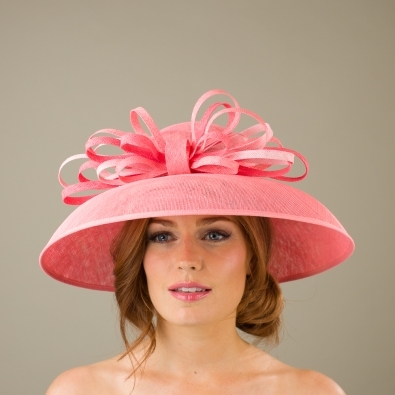 The Orwell Fedora is a beautiful fedora, perfect for country walks or a day at the races or in the field. The King Fedora hat is a great addition to our fedora range and is proving very popular for 2018. 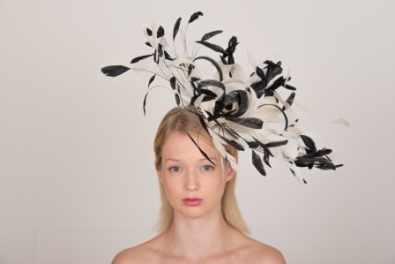 It comprises a fedora base trimmed with a beautiful, deep, guinea fowl feather band. 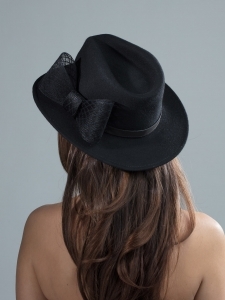 We love themonochrome look with the black fedora base. Another of our favourites which is brilliantly on trend for AW 2018 is the Clove fedora. This fedora, which features your choice of fedora hat base is trimmed with a gorgeous band and bow made from leopard print grosgrain ribbon. Simply measure around the circumference of your head just above your ears to ensure you order the correct size. As with any of our hats you are more than welcome to request a free colour consultation where we work with you to match your hat perfectly to your chosen outfit. All you need to do it tick the ‘Request a Colour Consultation’ box in the check out process and we will be in touch. If you have any questions about any of our fedora hats please don’t hesitate to contact me via info@hostiehats.co.uk.